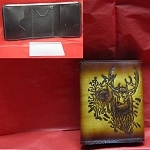 Tri-flold Leather Wallet. 100% American, handmade in Pennsylvania. 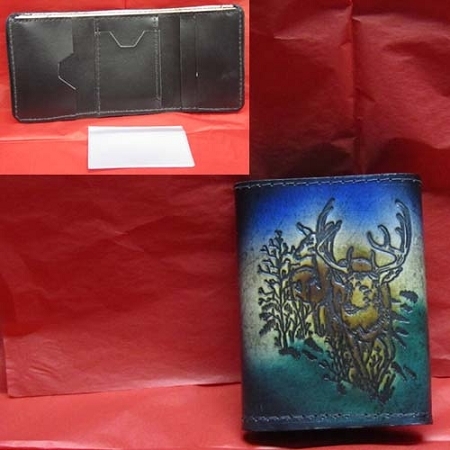 Has tooled and colored, running deer scene, five card pockets, and one cash pocket.